Since 2011, reliability leaders at Dow Chemical's 700-acre Deer Park, Texas, facility have heeded a management mandate to improve plant performance by improving instrument reliability. Their highly focused team approach and innovative use of HART technology reduced reactor trips by 85%. The specialty chemicals plant produces methyl methacrylate, acrylic acid, amines and various acrylates used in paints, household products, water purification chemicals and more. Because much of the technology and instrumentation in use at Deer Park is common across the process industries, the kind of results achieved here are within reach industry-wide, as well. The project began with the plant's Instrument Reliability Group forming an Instrument Reliability Program (IRP) that would help maintenance strategies evolve from reactive to a more predictive, and proactive culture. The challenges were daunting. Many of the plant's reliability issues had been addressed prior to 2011 so the low-hanging fruit was gone. Reliability had been flat for three years, with deficiencies found in 28% of the facility's instruments, and five particularly troublesome process units were the source of 48% of the entire site's production units' instrument downtime. The Instrument Reliability Program raised the stakes for the team which would have to dig out more of the hidden, less obvious challenges to reliability. Better human resources management, including proper team-building and communication, turned out to be key enablers. The nature of reliability challenges and limited availability of reliability engineers drove Dow's Deer Park reliability experts to first focus on proper management of people and teams before committing dollars to technology. Shadrach Stephens, I/E maintenance group leader, and Christopher Garcia, instrument and electrical technology leader, identified some very human solutions to some very technical problems. • Enlist trusted evangelists: By turning experienced, knowledgeable instrument reliability engineers into project advocates who could spark open and frank dialog, the engineers and others they relied on to effect changes were better predisposed to accept the project's framework and to create their own pieces of the plan to advance its goals. "This framework or structure was co-signed by the technology experts," Stephens says, "which allowed us to gain the initial buy-in from the leadership team." • Broaden the management framework: Instead of focusing on opportunities with bad-acting or high-maintenance instruments, the group took a broader view. For example, it focused on how improvements were executed. There were also weekly "cadence meetings," Stephens says, "to review short- and long-term actions, team development to establish reliability principles within the staff, and more collaboration with OEMs, process automation and process technology centers." • Present short- and long-term solutions: "There will always be more good ideas than we have capacity to execute," Stephens says, so team leaders managed a compilation of ideas with short-term and long-term planning and execution in mind. Team members were given roles based on their strengths and ability to manage appropriate issues at appropriate levels, leaving senior leaders to focus on longer-term strategies. The overall approach was to identify problems and their root causes, implement short-term solutions to help the plant run better and gain management buy-in, and then move to larger, longer-term strategies for comprehensive preventive and predictive maintenance. Early on, instrument reliability engineers asked plant customers why they thought instrument improvements were flat for the past three years. The responses fell into four areas: people or processes, end-of-life equipment, predictive/preventive maintenance strategy failures and incidents of repeat failures. Interestingly, "people or process" issues dominated the list, with challenges relating to repeat work orders, overtime history, computerized maintenance system repair work history and instrument calibration/specification sheets. To start Dow documented a firm vision for a plant-wide reliability infrastructure and supported that vision with staff to reverse what was a "reactive" culture. This and the realization that the plant needed a more "reliability-centered culture" were fundamental in forging ahead with practical solutions. For instance, better, predictive work processes were devised, in one case eliminating a problem with loose wires that was causing process reactors to go offline. Fixing it reduced annual trips from an average of 10 to just one through the fall of 2014. Other moves included a new level of cross-functional teamwork not just in meeting rooms, but in the plant on a daily basis. For instance, the process historical dashboard, traditionally the domain of operations, was shared with instrument technicians, which led to identifying 18 critical alarms that would likely have led to more reactor trips. Additionally, outside teams were brought into the cultural fold, with new oversight that improved the quality of work by contractors. Working in cross-functional mode, the team performed approximately 10,000 assessments, generated 4,000 work orders and addressed 2,400 items. Many were quickly and easily corrected, such as a vent installed in the wrong direction, a loose device or terminal housing cover, or a missing protective valve cap. Of that 28% of the facility's instruments that were found to have deficiencies, it was found that 13 temperature and level instruments accounted for 60% of the problems. Replacing these 13 instruments with new technologies drove incidents to zero, saving millions of dollars annually. The IRG's research into historical data led to the startling discovery that of 67 process units, five units contributed to 48% of the plant's entire downtime. This was costing Dow millions of dollars in lost production per year. "For an engineer or a leader, this is a golden opportunity, because if you can make a huge impact within a small area, then you can get support from team members and upper management to continue the effort," says Stephens. • Control valve equipment maintenance: Control valves, the most likely instruments to sustain wear and cycle damage, caused an average of 17 unplanned events per year at Deer Park. The Instrument Reliability Group reduced this number to four in 2013 (and only 1 YTD in 2014) by prioritizing the most critical valves, better managing spare parts and overhauling preventive/predictive maintenance strategies. 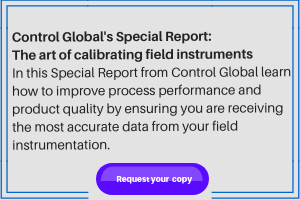 • Real-time equipment monitoring: The Instrument Reliability Group, working with the facility's process automation team, used two software packages to track real-time instrument and control valve performance, and to better communicate failures and pending failures. This led the plant to avoid several unplanned events that would have caused multimillion-dollar production losses. • Technology improvements: Nine differential pressure level transmitters with liquid-filled impulse lines caused failures due to heat tracing, leaks, loss of fill fluid, etc., and four firebox temperature sensors installed in thermal oxidizers experienced thermocouple burnout and damaged elements. Replacing these with new technologies resulted in eliminating unplanned events, removing them from the group's top opportunity list. In the first year since these and other improvements were made, the five units' instrument downtime dropped from 48% to 16%, and in the second year, 2013, that number dropped to 9%. This was accomplished by addressing major problems sooner, while preventing other problems altogether. "By using the existing HART tools and resources and engaging multiple levels of management and functions, we were able to change the process and the culture — for lasting benefits throughout the operation," Stephens said. HART "opens up a new portal of digital information that enables us to be more proactive." In the field, HART handheld communicators and laptops access diagnostic information for root cause investigations, live status updates on critical instruments and control valves, and instrument inspections and calibration checks. For example, the team learned that most valve failures were not typical valve problems, but rather problems with the valve package's "top works," or components such as positioners, limit switches and solenoids. Once these problems were identified, technicians could be assigned to go to the field, and many "quick wins" were achieved. Now, when a valve is targeted for testing, a flow scan is performed on it, and this scan is overlaid on a "good" or target baseline scan; the two are compared to see how much change has occurred in the valve, often avoiding unnecessary actions. This practice was made possible by importing data and creating a database of valve signatures. In one outage, diagnostics found that 36% of the valves did not need to be removed for repairs. This represented a reduction in maintenance requirements as well as speedier identification of abnormal conditions such as improper actuation. HART supports the plant's reliability-centered culture by helping enable the plant to move to what Stephens calls "Instrument Reliability 2.0." Where 1.0 laid the foundation for the instrument team, 2.0 begins to tap into proactive or condition-based maintenance "using the available data to drive long-term sustainable improvements." If there is to be a version 3, he says it could take the plant "into impacting the manufacturing process" with real-time advances to positively influence factors ranging from product yields and quality to energy efficiency and fine tuning of control loops. If the old "flat" reliability trends held, the Deer Park facility would have continued to experience an annual average 50 unplanned events for instruments and valves on the five targeted process units alone. Instead, this number fell to 4 YTD, according to Stephens. Overall, the reliability program has yielded financial savings in the millions of dollars and a 85% reduction in downtime for those five process units — and beyond. "We are now seeing the same level of reductions across the entire plant," says Christopher Garcia, Stephens' partner in leading the creation of the Instrument Reliability Program. That 85% improvement is reflected in maintenance trips to the field, which have been reduced by roughly the same amount. The achievements of the Instrument Reliability Group have earned praise and an award from management. The plant has expanded the Instrument Reliability Program from one to eight service groups, and Dow Chemical is now leveraging the Instrument Reliability Program across additional facilities. Asked for advice for those seeking to achieve real culture change, Stephens said, first and foremost, "Approach your reliability improvement strategy as if you were starting up a new company from the ground floor," a company that uses the task at hand to guide opportunity, "customer" input, planning, team building and implementation specifics. "Leaders must measure and communicate frequently, and finally, celebrate!"